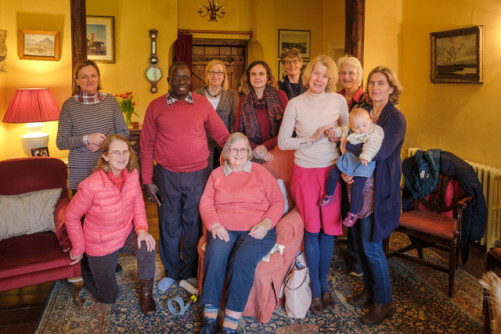 Bishop Emmanuel Murye is in the UK and here he is with a small group from Wellspring – chatting and sharing on his life as a refugee Bishop. Bishops Emmanuel and Joseph from the Diocese of Kajo Keji have over 350,000 refugees in their pastoral care. Each camp or IDP camp has a dedicated Bishop to oversee the work of the church. Each camp is then divided into zones with pastors and Mothers Union Leaders in charge – together they then care for the people pastorally as best they can. 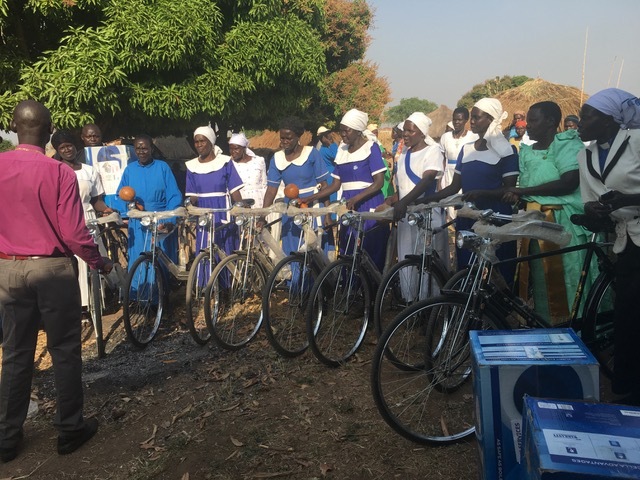 The church has risen up in spite of the extreme conditions the South Sudanese people. The twenty donated bicycles will help in the camps with the owners being these church community leaders – thank you to all who gave towards the bicycles.